We were recently shopping for a new hub, so we purchased both the Wink 2 and SmartThings to test them out and find the best fit. In our testing of both hubs, we’ll see which one is more user-friendly, reliable, compatible, and customizable. Comparing SmartThings vs Wink can be overwhelming, but we hope to get you started on the right path with this short, but also in-depth comparison video. 1.8 Why do you need a hub? While prices are always fluctuating, Wink 2 typically costs around $100, while the new SmartThings v3 hub is $65. You will want to keep the cost difference in mind when comparing each hub’s strengths and weaknesses. Both Wink and SmartThings are very user-friendly to get the hub up and running, even if you’re a beginner. Simply plug the hub into your router, power it on, download the app, and you’re good to go. From there, Wink starts to break ahead in being more user-friendly over SmartThings. Once your hub is setup and you’re ready to connect a Z-Wave device, the Wink app makes things really easy. For starters, the Wink app has a barcode scanner that instantly looks up the device to help you connect to it. This came in handy when at the store to see what was compatible with Wink, but it also sped up the setup process. SmartThings has an auto detect feature, but it was a little bit slower and not intuitive. 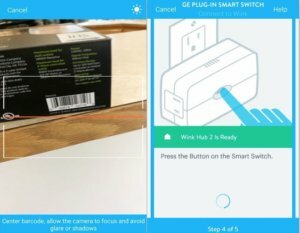 We connected a GE smart switch and Wink let us know to press the button multiple times to get it connected. SmartThings gave a generic link for help, but didn’t provide any tips getting it connected. Once things are up and running, neither hub should be a problem to use day-to-day. SmartThings can get more technical and complex for automation, but it’s still easy for anyone to use either hub’s app to turn devices on and off. When comparing the overall ease of use in Wink 2 and SmartThings, we recommend Wink 2. If you like to keep things really simple and user friendly, then Wink is going to be a better fit. The hub that you buy will live next to your router for years to come, so you want it to look decent. Both SmartThings and Wink are white, but they have different sizes and shapes. Wink 2 is basically a tall rectangular tower (7.25″ tall), while SmartThings v3 is a small square with rounded edges (5″ x 5″). 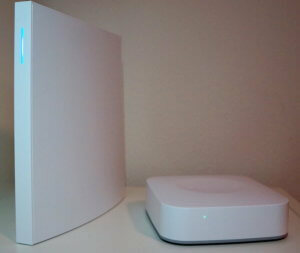 SmartThings v3 offers a WiFi connection, so you don’t have to have your hub connected directly to your router. One advantage SmartThings used to have over Wink is battery backup. The version 2 hub comes with 4 AA batteries that can work up to 10 hours if the power is out. Wink doesn’t offer any power backup, and SmartThings v3 also dropped this feature as a cost-saving measure. Read our other article for more details comparing SmartThings v2 vs v3. Since most of your connected devices will go down if your power is out anyways, it makes sense why this feature is a lower priority. Otherwise, the hardware on both hubs is very similar. Both hubs have small lights that can change colors to indicate the status. A 1-year warranty is included for each hub. If you want a smaller hub with WiFi, then SmartThings v3 may be the way to go, although you’ll want to get v2 if battery backup is a must-have. But if those factors aren’t important then this category may be a tie for you. 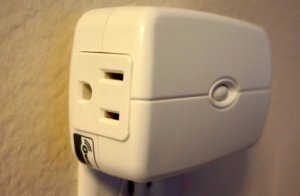 We hooked up both SmartThings vs Wink hubs to a GE smart switch using Z-Wave. We could only have one hub hooked up at a time, but we recorded how fast the hubs were able to change the switch. The speed results are shown in the video at the top. The Wink was a little bit slower than SmartThings, but not significantly. In our updated video, we also tested the SmartThings v3 hub wirelessly without an ethernet connection and it was just as fast as SmartThings v2. Both SmartThings and Wink are very reliable hubs and we didn’t have any connectivity issues with them. Of course, this can vary from house to house and depending on your Internet speed, but in general these are very reliable devices. Each hub is compatible with a large number of devices. But their lists of devices are unique: you can’t just buy a smart device and assume it will work with either hub out of the box. If you already have a few devices, it’s good to check which hub they work with. Our Solver tool can help you easily see some devices that are compatible with SmartThings and Wink. You can also see full lists on the SmartThings and Wink websites if you want to dig even deeper. Here is a list of some of the more popular devices that are natively compatible with each hub. That means you don’t need to use IFTTT or other third-party software to get these devices working with Wink and SmartThings. Keep in mind that if devices are not compatible, there’s probably a workaround to get a device that isn’t natively compatible to work with your hub, such as apps like Stringify or IFTTT. 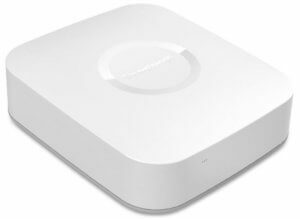 Both Wink 2 and SmartThings hubs are also compatible with Z-Wave, ZigBee, and Bluetooth. 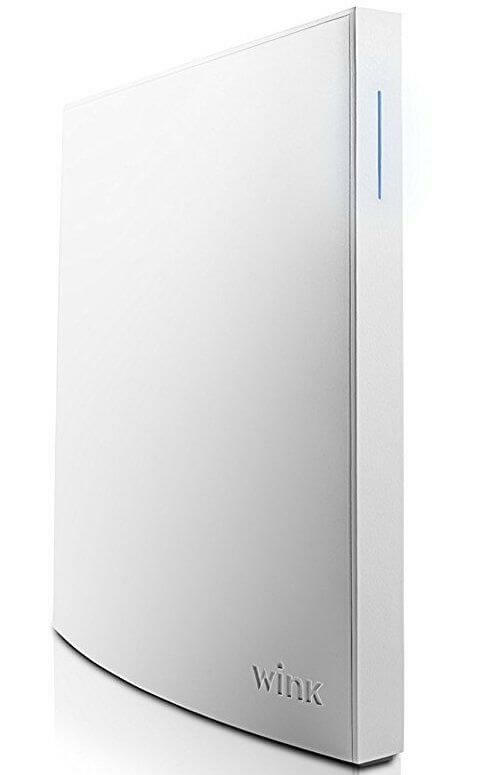 These act like a mesh network to extend the range throughout your house, which is why you won’t need more than one hub even in a large house, if it’s set up correctly. A plus of SmartThings is its open API and strong developer community. Even if a device isn’t natively compatible, then there may be a SmartApp created to make it compatible. These apps can be hit-or-miss depending on how they are developed and maintained, but we’ve used several SmartApps to get devices working with SmartThings that wouldn’t otherwise, such as the Nest thermostat. For this reason, we say SmartThings wins this category. However, it’s best to go with whichever one works best for your setup. There are other devices like SkyBell, Arlo Pro, and WeMo that work natively with SmartThings and not Wink. 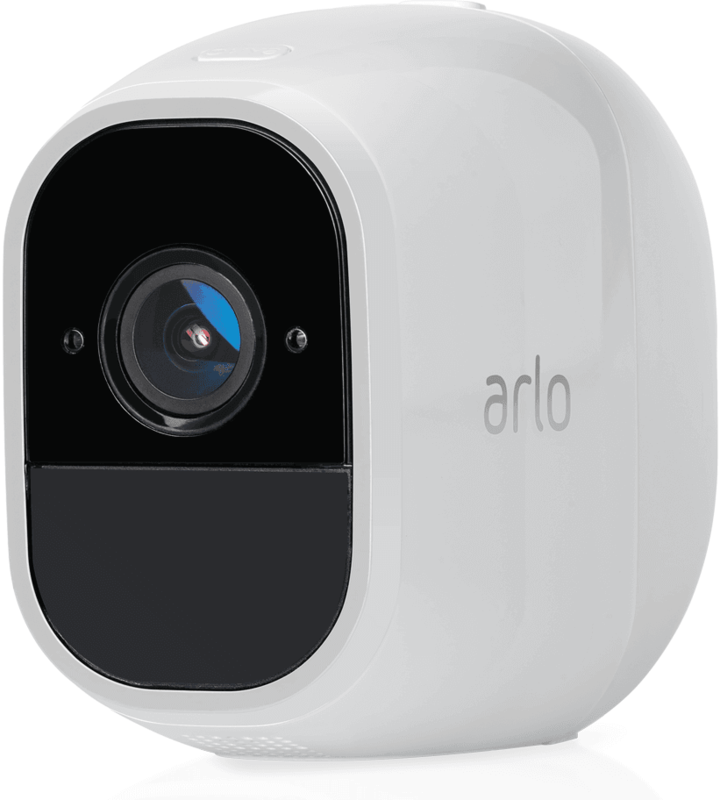 We even wrote a full review about Arlo SmartThings integration. On the other hand, smart home powerhouses like Nest and August work natively on Wink. However, these integrations are always changing, which is why it’s best to check out our Solver for the latest updates. Long story short: if you are just starting to build your smart home, then it is wise to plan ahead between Wink 2 or SmartThings. If you already own certain devices, you’ll want to make sure you buy the hub that’s most compatible with your home. If building a highly customizable smart home is a priority, then Wink might not be your best bet. Automating devices in Wink is done through Robots. Its setup is similar to IFTTT, but Wink is a bit more powerful. You can define what event should trigger devices, or schedule devices to change at a certain time. For example: when you arrive home, Wink can automatically turn on the lights and unlock the door. 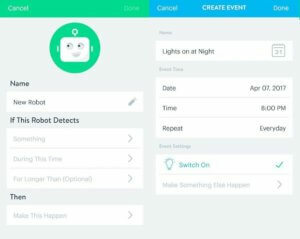 Or, have it turn on the lights when you come home between 7 and 11 p.m. Wink also has events, which are like Robots that can be scheduled for tasks like turning on the lights everyday at a certain time. However, there are limitations for Wink. For example, you can’t group together devices from different categories. When comparing Wink and SmartThings, SmartThings is much more customizable and has a couple different options. 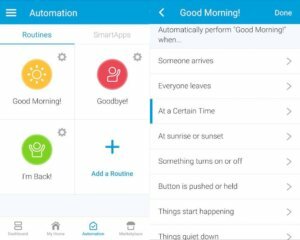 The first is Routines such as Good Morning and Good Night. These are for scenarios such as if everyone leaves, then lock the door, turn on the alarm, turn off the lights, and change the thermostat. However, these Routines can be fine-tuned. You can specify parameters like 30 minutes before sunset. We showed just how deep these integrations can go in our video of SmartThings ideas. There are also SmartApps, which have similar functions, but more capabilities. For example, you can go to the Light and Switches category under SmartApps and choose Gentle Wakeup. This SmartApp will slowly turn your lights on from 0% to 99% over 30 minutes. There are countless scenarios set up for different devices, making it easy to implement. SmartApps are created by Samsung and the community. This makes SmartApps very powerful. As we mentioned above in the Compatibility section, gadgets like Nest aren’t natively supported by SmartThings, but have a SmartApp created for them to work with SmartThings. Of course, all of this advanced functionality means that SmartThings has a slightly steeper learning curve. You can expect to set aside some time during setup to really dig in and learn all of the options within the SmartThings app. While both apps are well-designed and easy to use, we prefer SmartThings in the end due to its additional integration options. After comparing the SmartThings vs Wink, we can see benefits for both hubs. Wink is very user-friendly and I would feel comfortable recommending this to any one who already owns or plans on buying devices compatible with Wink. This is also the hub to choose if you want simple home automation. If you have family members who want an easy, non-technical solution, Wink will be easy for them to manage. Now that we’ve compared both hubs, we decided to keep SmartThings. We used it for a few years before upgrading SmartThings v3 hub. It’s compatible with many devices and has incredible support from its community. 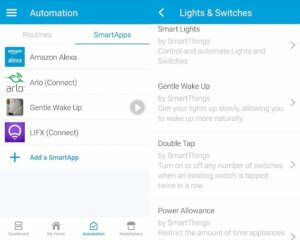 You can easily start off using SmartThings to automate a few devices and have the freedom to expand your smart home in the future. If you decide to go with SmartThings, check out our SmartThings beginner’s guide. Now that we’ve used SmartThings everyday for years, there are a few things to add. First: SmartThings has definitely lived up to its strong reviews and reputation, and we’re still glad we picked it as the winner. The hub is easy to use. We’ve added smart home gadgets and automation throughout the year, and SmartThings has made it easy to grow our smart home set up. Recently, SmartThings went down and we were unable to access the app for a few days. This is probably due to what Samsung is doing now to merge the app with their other Samsung smart home apps. It was pretty annoying since we couldn’t access our gadgets through the app or make changes, but all of the automation continued functioning just as we had set it. So while we couldn’t add or edit door codes, the codes that were already set up worked fine. The other important update was the release of SmartThings v3. 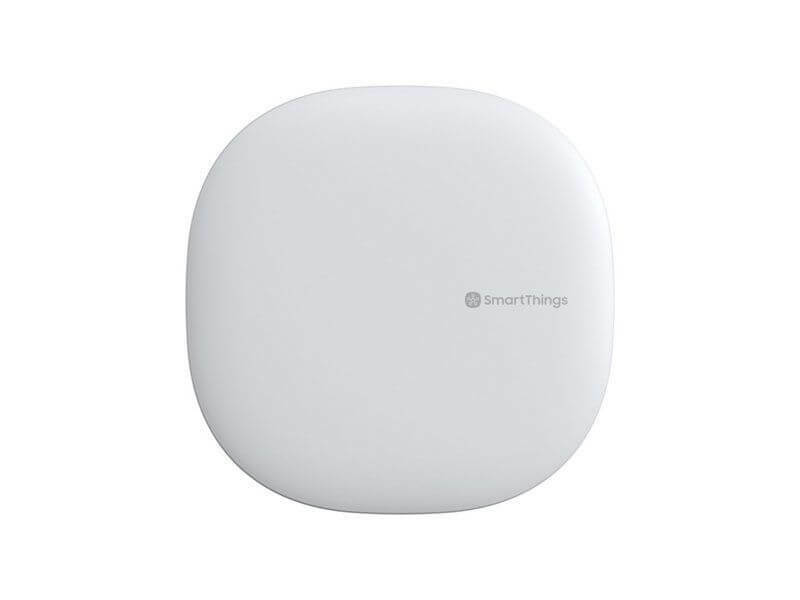 As mentioned above, this adds wireless capability and brought down the price of SmartThings from $100 to around $65. If you already have the SmartThings v2 hub, there’s no real reason to upgrade to the newer hub (unless you really want a WiFi hub). However, if you’re buying SmartThings for the first time, the version 3 hub will save you some money and work with WiFi, so it makes sense to purchase the latest version. For a full breakdown between the hubs, check out our article SmartThings v2 vs v3. If you’re still wondering why you even need a hub, there are a lot of reasons. These simple-looking devices allow your smart home gadgets to communicate with one another in one app. It’s nearly impossible to automate a smart home without a hub. We gathered 38 SmartThings ideas, but there are really countless creative ideas out there. If you have an Amazon Echo or a Google Home then you can control devices with your voice, but it’s still not automatic. Hubs allow you to get smart home devices working together automatically and seamlessly. In addition, hubs like Wink 2 and SmartThings can extend the functionality of Alexa and Google Home by making devices compatible with them that are usually incompatible. There’s no way we could cover every single scenario for both of these hubs. We hope that this can help you get started on which route to take. Let us know in the comments below which hub you prefer and if we missed any critical points in comparing Wink 2 and SmartThings. Thank you, great article, think I’ll go with smart things as well. This review does not mention radio strength. I swapped out a Wink 1 hub for a SmartThings v3 hub because Wink is showing all the signs of a company going out of business. Ironically sensors in the far corners of my house previously easily connected by Wink fail with SmartThings unless they are moved closer.